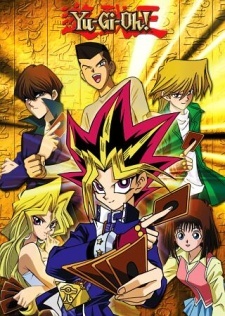 Game loving Mutou Yugi was given an ancient relic by his grandfather called the Sennen (Thousand-Year) Puzzle. He completed the puzzle and was possessed by the spirit of an ancient Pharaoh. The Pharaoh has no memories of who he is or how he got in the puzzle to begin with. The Pharaoh looks out for Yugi and his friends and Yugi agrees to help the Pharaoh recover his lost memory and help him be put to rest so he can go on to the afterlife and finally leave Yugi's body. Watch Yu-Gi-Oh! Episodes Online at Animegg.org. Yu-Gi-Oh! is available in High Definition only through Animegg.org. Choose an episode below and start watching Yu-Gi-Oh! in Subbed & Dubbed HD now.